Situated on the sunny banks of the Mara River, Little Governors’ Camp is perfectly positioned to take advantage of the sunlight and turn it into solar energy. Eco-friendly travel and sustainable tourism are two terms trending widely in the travel industry. This has resulted largely from people becoming more and more aware of the harmful effects each of us has on the planet and wanting to reduce our individual negative impact. This is why Little Governors’ Camp is on a mission to reduce their carbon footprint, one step at a time. After recently eliminating all plastic from camp, the next step to further reduce their environmental impact was to install a solar system at Little Governors’ Camp. 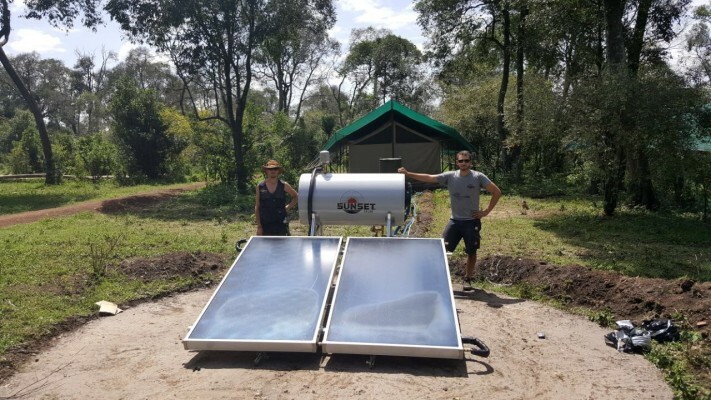 After a lot of hard work, it was with great excitement that the team at Little Governors’ Camp was recently able to switch on the solar system for this first time, and power up the entire lodge. The transition required the installation of a large bank of solar panels on the staff camp roofs. These panels provide electricity to the whole camp, including both front of house and guest areas, and back of house operations such as the staff areas, kitchen, laundry. In addition to this, all the water at camp is also now heated by solar power. Each tent now has a solar water heating system installed at the back, which supplies hot water to the individual tents. 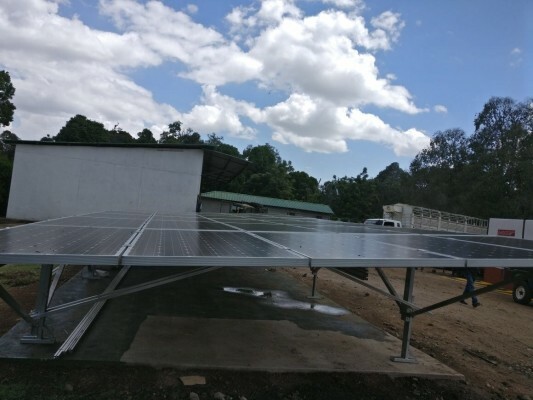 In order to track the amount of carbon that will be saved from these solar systems, Little Governors’ Camp has also installed a large carbon counter which documents the total camp carbon savings. 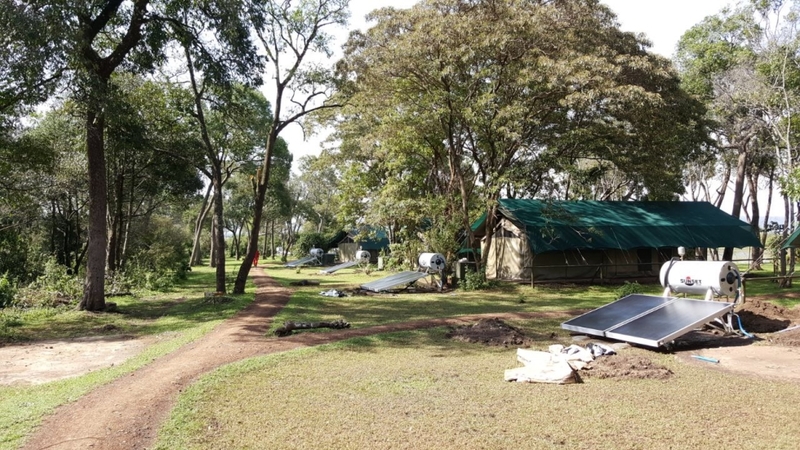 With such an environmentally-friendly attitude, it’s no wonder that Little Governors Camp has already been awarded a Silver Eco-Rating from Eco Tourism Kenya for their sustainable practices in place in camp. 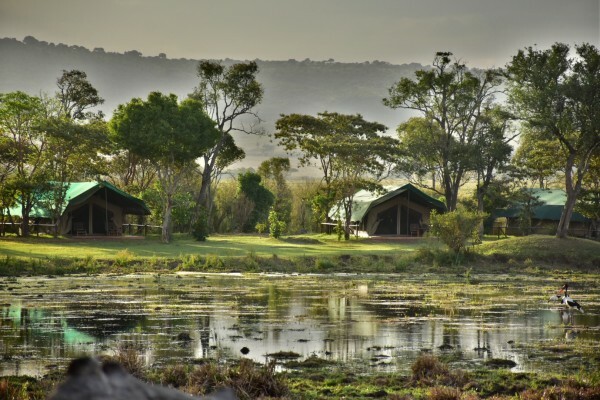 With just 17 luxury en-suite tents tucked around a large watering hole that teems with both birds and wildlife, Little Governors’ Camp is an intimate, remote and authentic Africa hideaway. Accessible only by boat, followed by an escorted scenic walk through the riverine forest, the camp is ideal for romantics who enjoy a bit of adventure. All of the spacious en-suite tents are entirely under canvas, and each boasts its own private verandah from which guests can enjoy the constant game activity that takes place around the watering hole. Activities at Little Governors Camp can look forward to two daily game drives in 4 wheel-drive vehicles (great for wildlife photography) visits to the nearby Masai community manyatta and visits to the community and conservation projects we support. 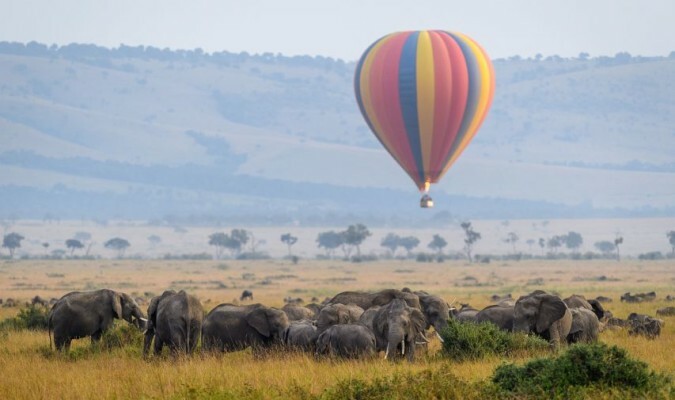 Hot Air Balloon Safaris can also be arranged at an extra cost and are a fantastic way to experience the Mara from an aerial perspective.